All about Puzzle Express. Download the trial version for free or purchase a key to unlock the game! Travel across the country loading up the Puzzle Express with beautiful pictures! 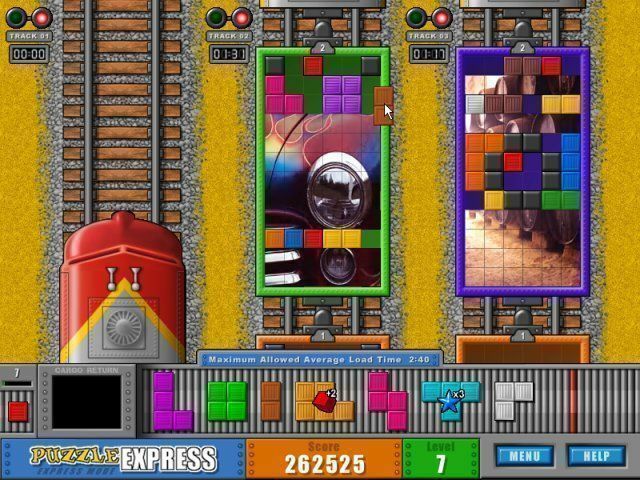 Grab colorful puzzle pieces and place them together to fill up the train cars. 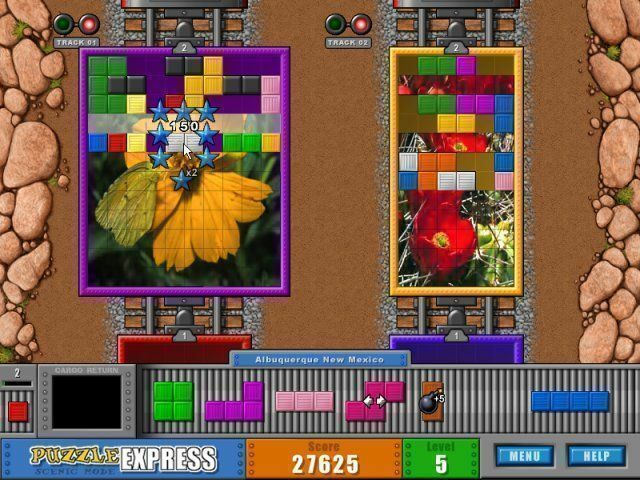 Travel across the country loading up the Puzzle Express with beautiful pictures! 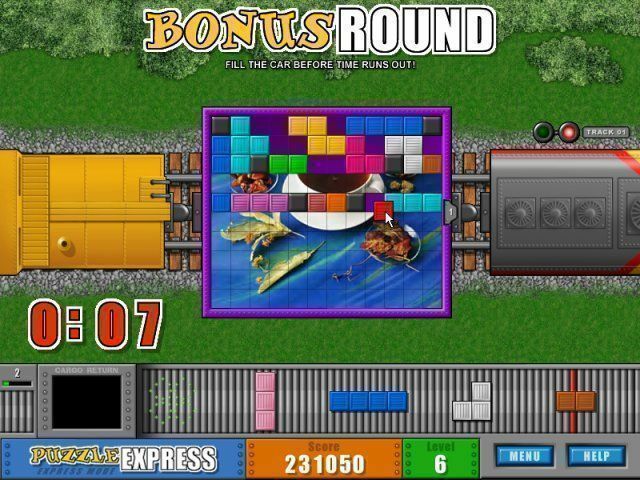 Grab colorful puzzle pieces and place them together to fill up the train cars. The more you fill up the car, the more of the picture you get to see. Fill up the entire train and send it to the next city for a new batch of pictures! New pictures are downloaded automatically so you may never see the same picture twice! Plus, you can even add your favorite photos right into the game! All aboard!